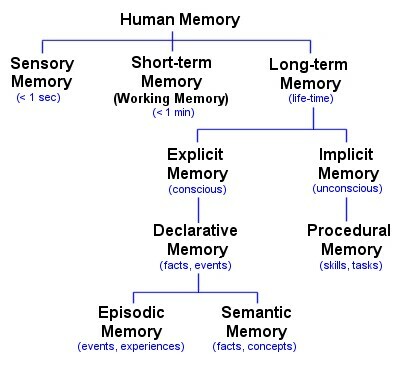 Memory is the faculty of the mind by which information is encoded, stored, and retrieved (Atkinson & Shiffrin, 1968). Information from your perception is sent to your working memory. 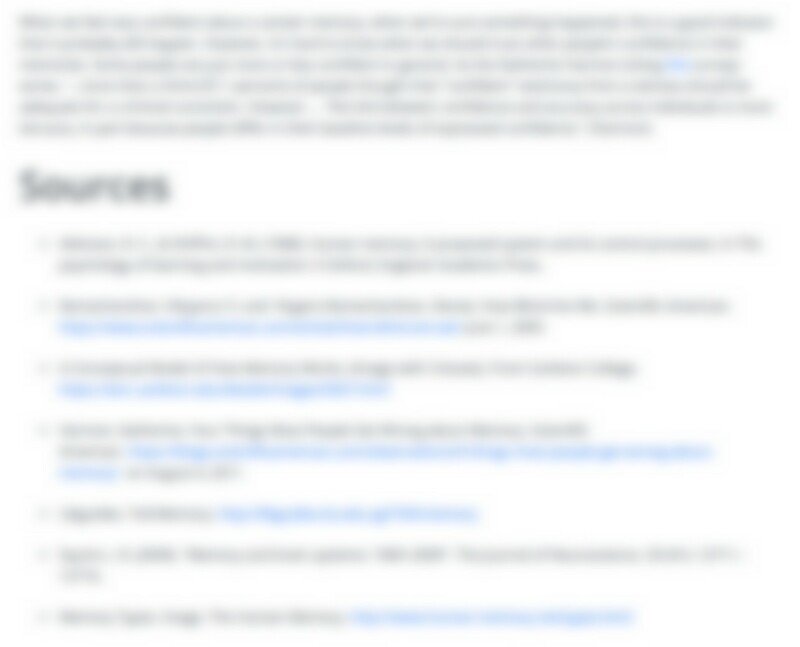 Information can be retrieved from here (remembered). A fraction of the information in your working memory is sent to your long-term memory, where it can be retrieved. For a more detailed explanation of more of the processes involved, have a look at the Download on this page called "Comic Explainer: How Memory Works. It does a great job of going through some of the processes involved in making memories. It's worth your time. People tend to trust their memories more than they should. This comes up a lot in discussions about eye witness testimonies in court. People can be absolutely sure they saw or heard something, which they didn't. Attention. Memories are only formed when we observe something. We can't remember things that we we didn't notice in the first place. Time. Obviously time is a big thing that affects memories. If we noticed that something just happened to us, our working memory would have a record of it. But if it happened years ago, it's likely the long-term memory won't have a very good record of it. 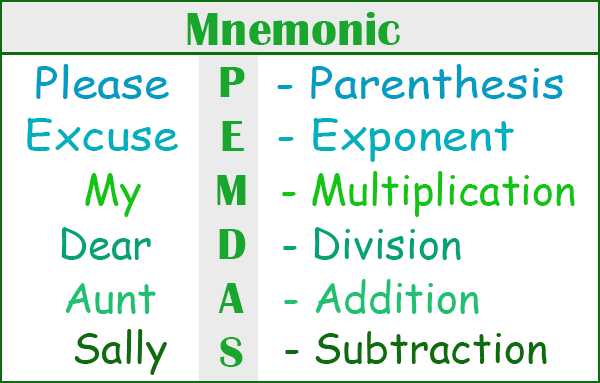 Mnemonics. 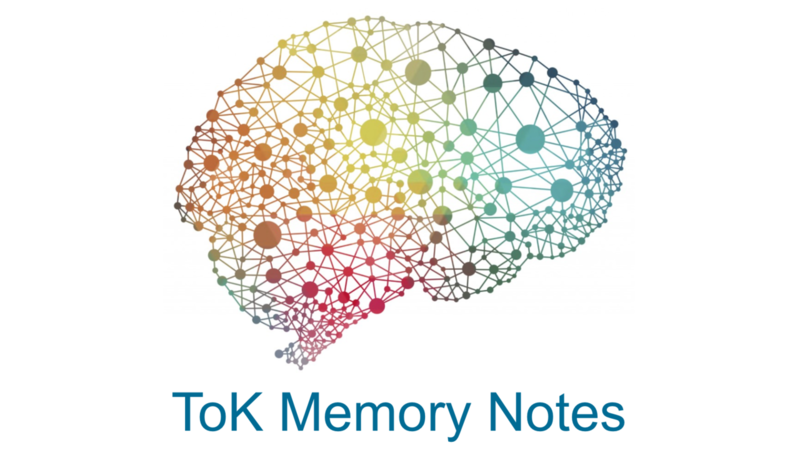 Stategies like the Memory Palace or even this PEDMAS example can help us encode memories into easier to remember parts, which we can review easily later. Stories. The memories we form are affected by the narrative (the story) we are teling ourselves in a given situation (Ramachandran) or the stories others we tell about an event after it has occured. Repetition. Reviewing memories in our head helps to keep them fresh. People who experiences Post-Tramatic Stress Disorder (PTSD) feel they are reliving the tramatic event continually. The memory stays very fresh because the sufferers keep replaying the tramatic event it in their mind. Health. Aspects such as poor exercise, lack of sleep, and high levels of anxiety can also reduce the brain's ability to store new memories.